Are you scared to ruin your window coverings by cleaning them the wrong way? If you don’t clean window coverings properly or often, they can lose their luster and become dust collectors. Find solace in this guide on how to clean your window coverings the right way. Learn the correct cleaning techniques for different types of window coverings, cleaners to avoid, and how often to maintain your window cleaning routine. Good luck and let us know how we can help. Remember Window Coverings in Your Spring Cleaning Routine! This important accent of every home is often overlooked during routine cleanings. Some window coverings are more likely to attract dirt and dust, just the same as an old house is more likely to need frequent cleanses. Regardless of material, you should make dusting your window coverings part of your cleaning routine. Don’t forget this important piece of your decor! It only takes a second is an easy way to prevent dust from building up. 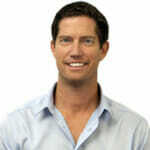 If you let them go for even a little while, it can quickly transform into a much bigger, more extensive cleaning job. Did you ruin your window coverings with the wrong cleaning method? It's hard to make a comeback after you have made a window covering cleaning mistake. Look on the bright side, now you can have a fresh start! Contact us to co-create a new window design for your home. Have you looked around your home lately and wondered why it feels so old and dull? You may need to update your window coverings style. It’s also possible that your window coverings would look just like new after a thorough cleaning session. Before replacing your window coverings, first, see how they look after you clean them up. If you find that there is a little difference made to the feeling of the home or room… it may be time to modernize the style. Just like clothing, window coverings can go in or out of style. Additionally, some coverings may be simply due for a functional upgrade. For example, wooden coverings may be easier to clean whereas taking drapes to the dry cleaners may be a hassle for you. Dirty window coverings stand out and can throw off the aesthetic of a whole room. In most cases, you can clean your window coverings on your own, but special care must be taken to keep from damaging them. In some cases, it might be better to get it done by professionals. Step One: What type of window covering are we cleaning? The material of any window covering is the first thing to consider when figuring out how to clean it, regardless of style. It doesn’t matter whether you are cleaning blinds or shutters; if they’re made out of wood, you should not clean them using chemical solvents in any case. Using the right method for cleaning each material will do a lot to extend the longevity of your window coverings. It is always better to be safe than sorry with window coverings, as they are easy to damage or ruin. Even if you think you know what a covering is made out of, double check just to be sure. If you have any doubts, remember that it will probably cost a lot less to hire a professional maid service than it would cost to buy a new set of blinds. Especially if the windows themselves are pristine, dirty window coverings will create an unpleasant contrast that steals attention from the beautiful view on the other side of the glass. In the following sections, we will outline how to clean different types of coverings. Vinyl coverings are generally the easiest to clean. They can usually stand being wiped down with a damp cloth. If Vinyl products are heavily soiled then a little soap can be used with warm water to remove excess build up. Pro Tip: A clever trick is to use a dryer sheet after a damp cloth to help repel dust. Avoid chemical cleaners, which can scratch the surface of vinyl coverings and are generally not necessary. Cleaning metal blinds might take a little elbow grease to clean just because there are so many slats! Be careful not to get too gung-ho because metal blinds are easy to bend and once they do the crease doesn’t come out! 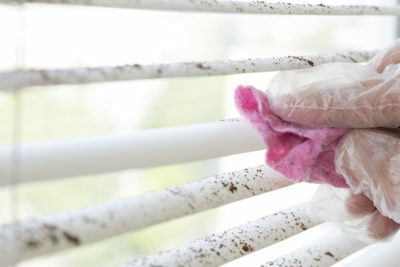 Cleaning mini blinds with a wet cloth and a little dish soap will work in most cases, but it really depends on the frequency of which you have been maintaining your blinds. If you have lots of dust built up on yours then the first step is to use a vacuum to remove the bulk of dust. 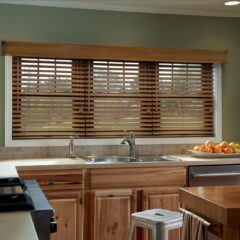 It might help to position yourself on one side of the blinds and put a hand behind the slats you are working on so the pressure of the brush on the vacuum doesn’t bend the slats as much. Pro Tip: If you really have some stubborn grime build up on your blinds then a trick of the pros is to use a handheld steamer to work the debris free. This can create a little bit of a mess as water will run down the blinds, so be sure to clean outside or lay down a covering over the floor. The last trick if you have stubborn grime or buildup is to give them a deep clean by immersing them in the bathtub. A good soak, a little scrubbing and then leaving them outside to dry is a great last resort to saving blinds that need to be saved. Cleaning wood coverings are tricky and they stain easily. For the most part, you should stick to dry, soft dusters & cloths. Keep them far away from water and chemical solvents or else you may cause some irreversible damage! If you would like to nourish your wooden blinds, it’s easy to find some olive oil in your cabinet at home. All you have to do is mix it with a little warm water and use a soft rag to bring a new light sheen to the wood. Pro Tip: be sure when the window glass is cleaned near a wooden window covering that the cleaner is sprayed on the cloth before wiping. Avoid chemical cleaners at all costs with wooden window coverings! Fabric valances & window coverings come in a variety of materials, and each requires a different strategy. They usually come with a label that will tell you how you can and cannot clean them. Pro Tip: Fabric cleaning wipes can be used on most types but we highly recommend you do a little test scrub at the ends to make sure it doesn’t discolor the fabric. As a general rule, dry cleaning for fabric window coverings is highly suggested. This means that dusting and vacuuming will be your first move, with yearly professional dry cleaning suggested. Do not wash your draperies unless they specify that this cleaning method is allowed. And definitely do not put your drapes, curtains, or cellular shades in the dryer, as this will absolutely ruin them. We hope this article was helpful in clearing up some of the basic questions of cleaning window coverings, but maybe there was something we missed. Contact us for professional advice about cleaning your window coverings. Alternatively, if you have tried to up the ante in your home by a thorough cleaning to no avail, it may be time to start fresh. You don’t even have to move from your computer, we’ll send a professional designer to your home to try on some new styles for custom window treatments. Thanks for sharing bcz some people go for these window treatments but they dont know how to clean them even including me. It will really help others also.